The AM-1035 is a high quality low cost magnetic mount. 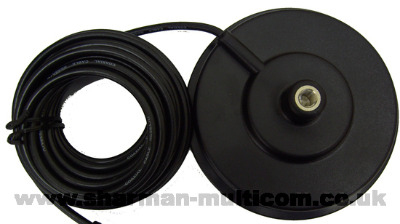 This mount has a 3/8 fitting which is suitable for most CB whips and RG58, 98% shielded coax terminated with a PL259 plug. The magnet is a multipolar type which gives superior holding power. This mag mount really needs to be tried to be appreciated. Supplied in presentable blister packaging.